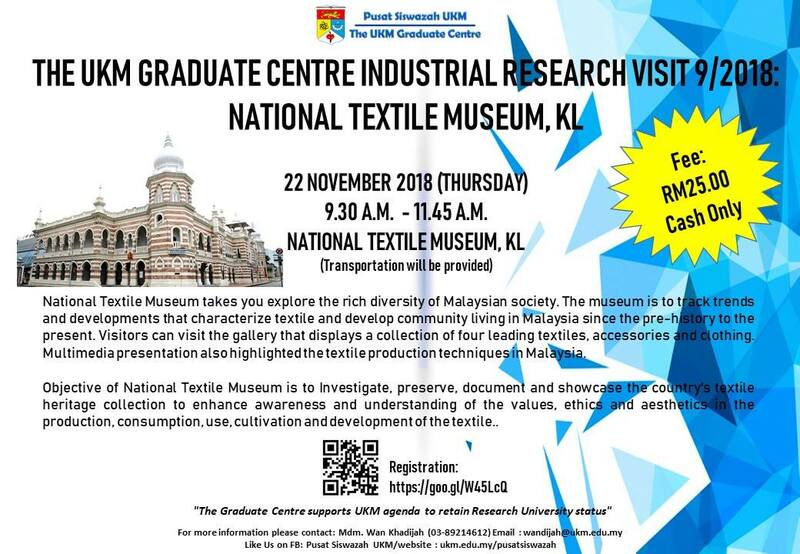 The UKM Graduate Centre are pleased to invite you to join our Industrial Research Visit Series 9/2018: National Textile Museum, KL. Places are limited to 20 participants only. 🍁 Time: 9.30 a.m. – 11.45 a.m.
For any enquiries, please contact Mdm. Wan Khadijah at 03-8921 4612.